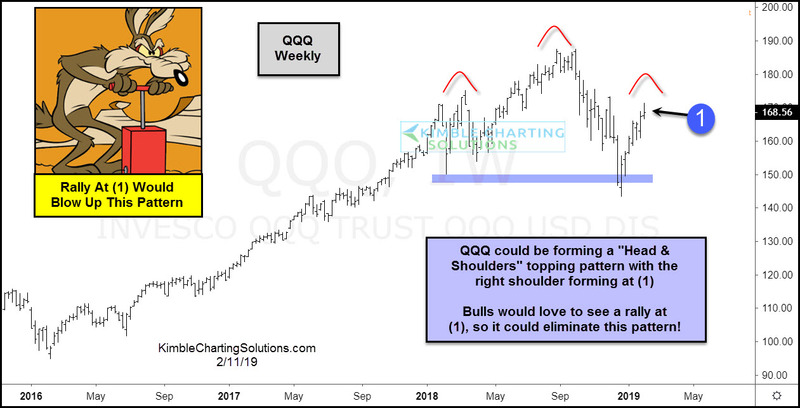 Is the QQQ ETF Forming a Topping Pattern? Is the popular Tech ETF (NYSEARCA:QQQ) forming a “Head & Shoulders” topping pattern? Low odds, yet possible! 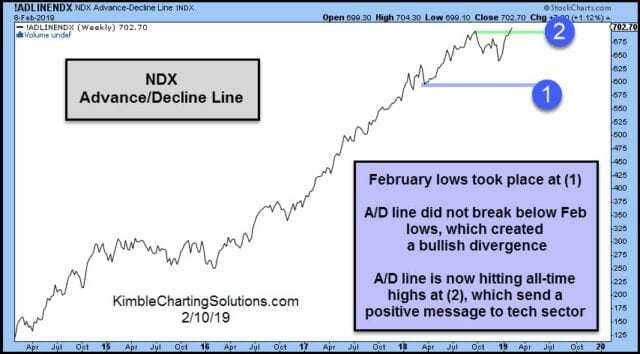 What would it take to eliminate that this pattern is sending a bearish message to the tech (NYSEARCA:XLK) sector? A strong rally at (1), would blow up the likelihood that tech is topping here.